Food processors explore Biomist technology following nationwide outbreaks of foodborne illness and product recalls. One of the biggest challenges facing today’s food processors is hygiene and effective sanitation. 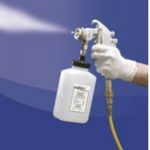 Manufacturers concerned about the impact of a recall are turning to a new system that converts alcohol into a non-flammable vapor, making it possible to sanitize surfaces that cannot be quickly sanitized by other methods. This new system utilizes liquid carbon dioxide as a propellant to spray a fine alcohol mist. Using this process, oxygen is temporarily displaced by an envelope of rapidly expanding CO2 gas, rendering the vapor non-flammable. 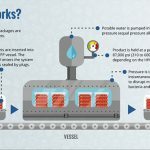 The patented technology, known as Non-flammable Alcohol Vapor in Carbon Dioxide (NAV-CO2), has recently stepped into the spotlight following the upswing of product recalls and outbreaks of foodborne illness across the nation. For more information, call 1-847-850-5530 or log on to www.biomistinc.com. 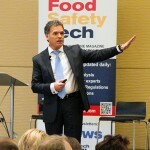 Global food companies should revisit how they are communicating to employees. 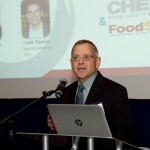 Last night's fundraising event at the Food Safety Consortium honored food safety advocates. 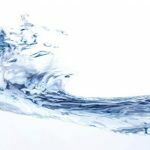 The growing global demand for food, compounded by the increasing population, has the agricultural industry nervous about the world’s water supply. Producers of refrigerated foods can use this alternative method to disable pathogens.